Sure, chores are not fun -- nor are they supposed to be. If you need more attention paid to chores in your home, try a chore chart. 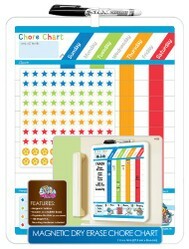 There are different types of chore charts available for sale online. On this page, find the best-rated chore charts according to customer reviews and pricing. Based upon customer reviews on Amazon, this entry by quality toy makers Melissa & Doug is quite the product. 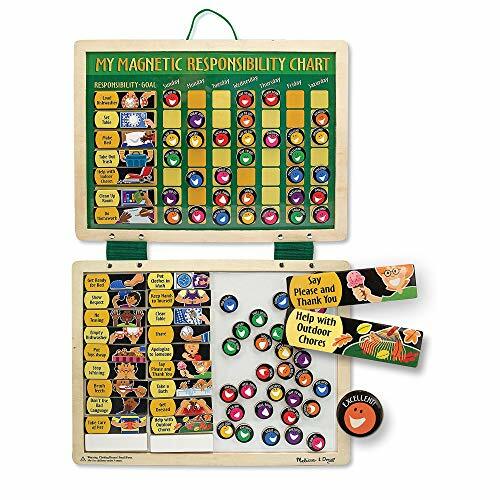 This magnetic responsibility chart has rating fobs enabling you to characterize behaviors and encourage your children toward positive actions. 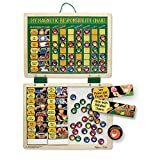 Over 200 customers have given this responsibility chart product positive reviews on Amazon. I guess you could say this product has a certain magnetism. The reward chart on the right from Kenson Kids sells a lot online. It features magnetic strips for hanging, and its pieces attach by Velcro. If you get really involved with this product's reward system, you can even add on more pieces. That must be part of what online shoppers love about this chore chart. To me, the reason to love the dry erase chore chart from Board Dudes is its versatility. 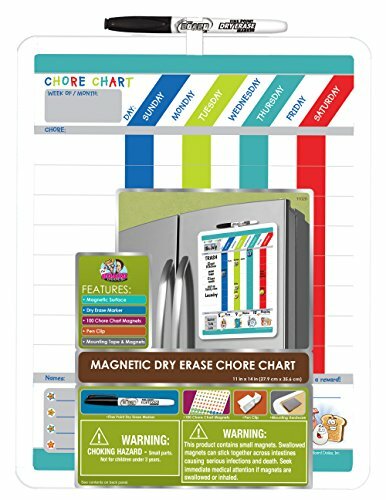 The dry erase chore chart is hung by magnets. Now, check out what online customers have to say about this chore chart. Should You Use a Rewards-Based Chore Chart with Your Children? Before you buy a chore chart for your home -- to use with your kids -- do ask yourself if it is something you really need in your home. I am by no means an expert on children, but I do know that a little gentle, positive motivation is a good thing. Keep your rewards simple. Earning a gold star for getting a chore done ought to be enough. Outlandish rewards will lead to outlandish expectations, so be careful. 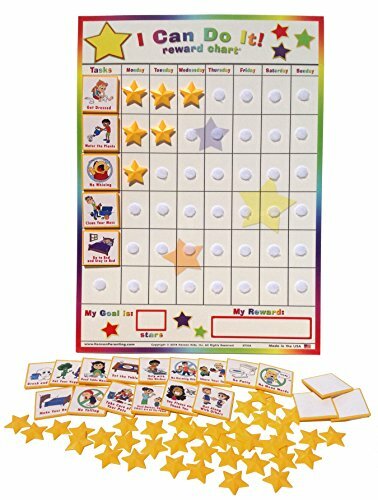 A reward chart need not be magnetic -- nor dry erase, nor fancy -- to be a worthwhile purchase. 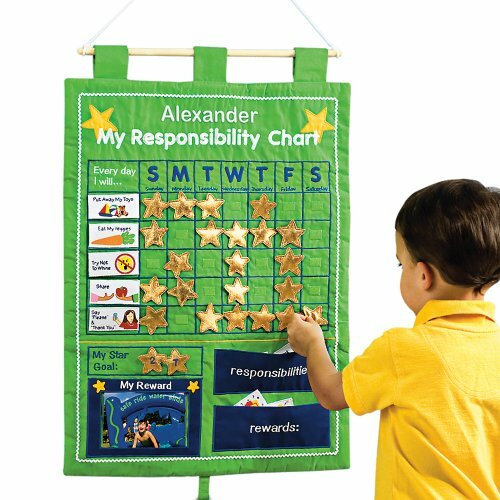 The My Responsibility Rewards Chart by One Step Ahead is a nice looking wall hanging with embroidery and appliques. It gives a nice look, and fits many a child's room decor. Those who have reviewed this product on Amazon have scored it high. A timer may help you and your children knock out the chores in a timely fashion. 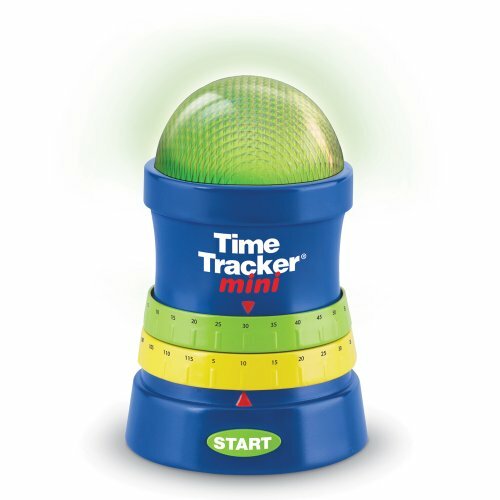 One fun option is the Time Tracker Mini by Learning Resources. Perhaps, it is price below $20, or perhaps, it is its quality. In any event, people tend to review this product positively on Amazon. Giving Aunt Sally a mani/pedi. If you need a chore chart for your home -- to help keep your kids' eye on the ball -- I say go for it and leave a comment about what you like. Do grown-ups get to have a gold star for doing the dishes, too? How about for cleaning the toilet? I'm with you all the way, Rose!